Easier to digest, sourdough bread is just flour, water and salt – all the other unnatural ingredients that commercially produced bread include are eliminated. 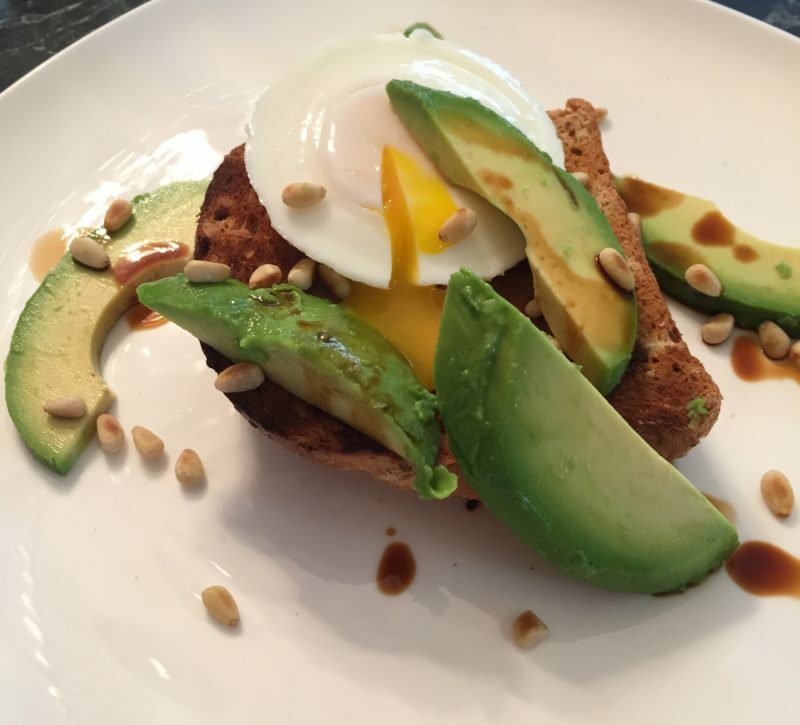 Topped with avocado which contains more potassium than bananas, loaded with fibre and can help to lower cholesterol this nutrient dense food is a family favourite. An inexpensive high-quality protein we opt for poached over fried egg. Be sure to roast them in a dry pan first, these nuts (considered a seed) have been enjoyed since ancient times. Pine nuts contain anti-ageing antioxidants and nutrients that support heart and vision health and provide that energy boost we all need. A splash of soy sauce over the avocado adds to the flavour. Yes, its low in calories but be careful not go overboard as soy sauce is considered a high-sodium food.